A sports enthusiast forever, ice skating was not Jadeja’s natural choice. An avid roller skater, he made it to captaining the Indian national team first. But soon realised that roller skating was not an Olympic sport. There was one major problem for the Ahmedabad-based Jadeja. Where was the ice? Wim Nieuwenhuizen, who has trained world class athletes and Olympic champions, set out to train this unlikely student of ice skating. He had support from his family too. “I was very well on my way to becoming a bad engineer. But I made this choice, and here I am,” Jadeja said. Jadeja is now eyeing on the Winter Olympics in 2022 and other international championships like the Masters World Games (2020), the World Winter Games and the Asian Winter Games (2021). 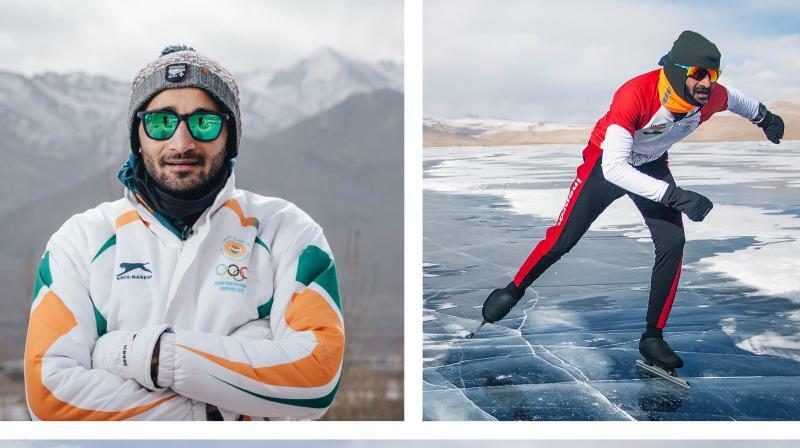 Apart from that, he has his heart set on exploring frozen lakes across the world (between the altitudes of 4,000 metres and 5,500 metres), starting on the home turf. His ultimate goal is to bring ice skating to India.